Looking for the post on how to make edible garnishes for glasses? It's moved (along with the rest of the blog) to its new home at Tikkido.com. 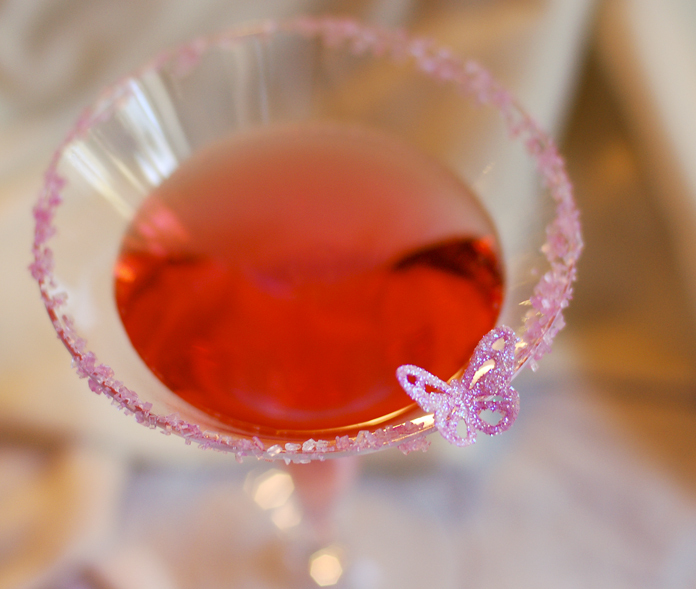 Signature cocktail rimmed in pink sugar and embellished with a rice paper edible butterfly. Awesome! I love this great idea. Is there anything rice paper isn't good for? Wow, you are so talented. Lovely work. Ohhhhh! I love this idea! After all, it's all in the details isn't it? !